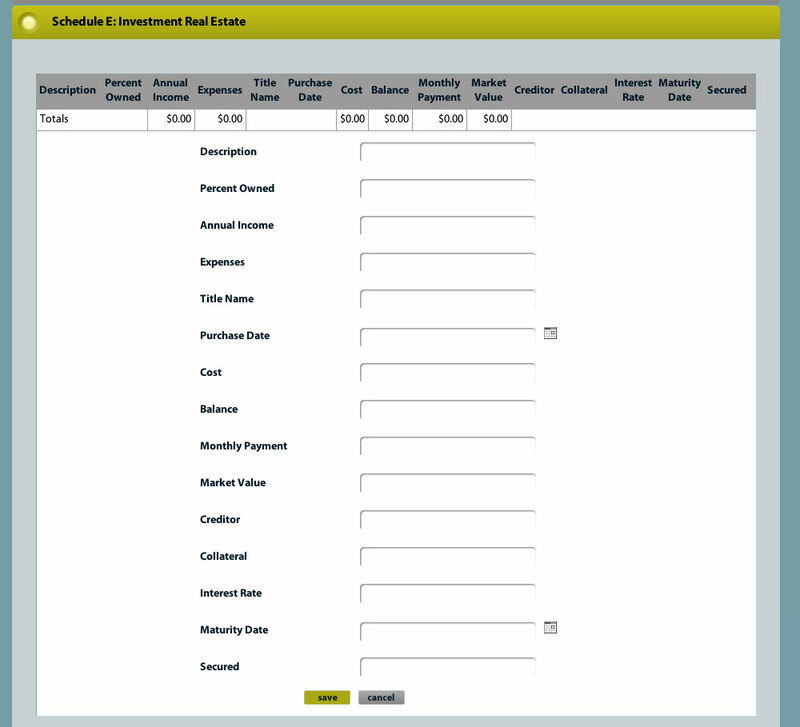 Why spend tedious hours compiling the necessary information to create your personal financial statement only to become frustrated when you have to revise it again and again for your bank or financial planner. Enter your information one time and we make updates a breeze. MyWorthNow is your perfect time-saving solution. 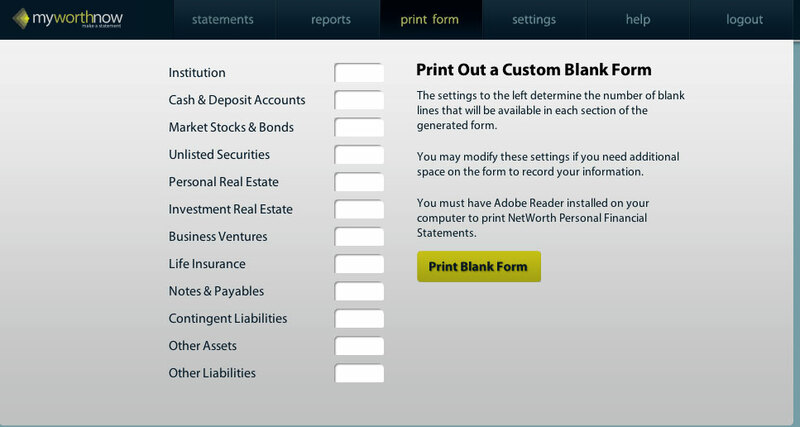 As the leading software application for streamlining the entire personal financial statement process, MyWorthNow provides the tools needed to create, store and update your financial information in a safe and secure environment. You only need Web access to remotely access your MyWorthNow account to create and to update personal financial statements on your schedule. 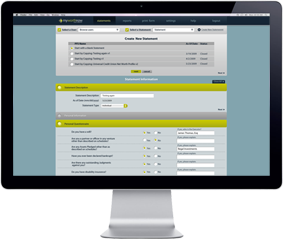 MyWorthNow's user-friendly design streamlines the entire financial statement process with increased functionality and improved ease of use. 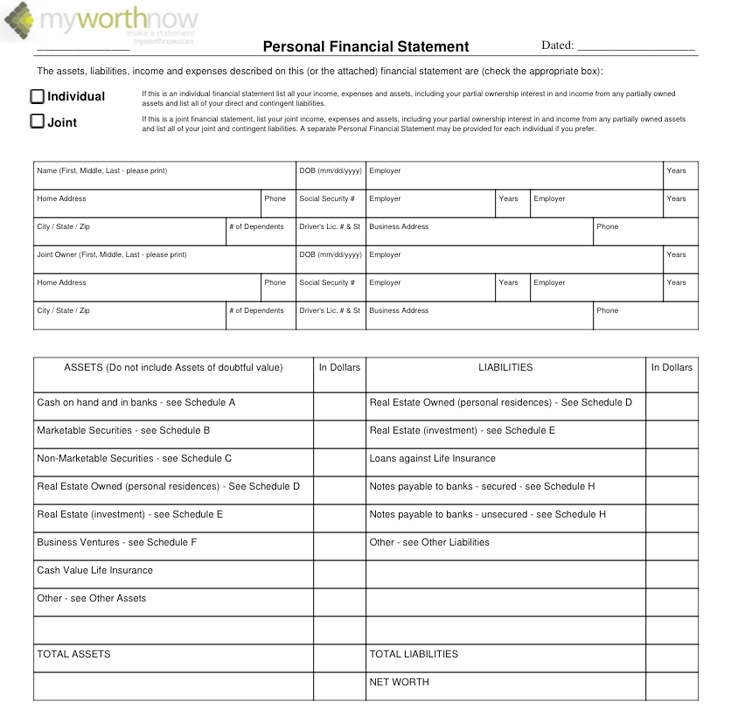 Save time, money and resources by using MyWorthNow to streamline the entire personal financial statement process. 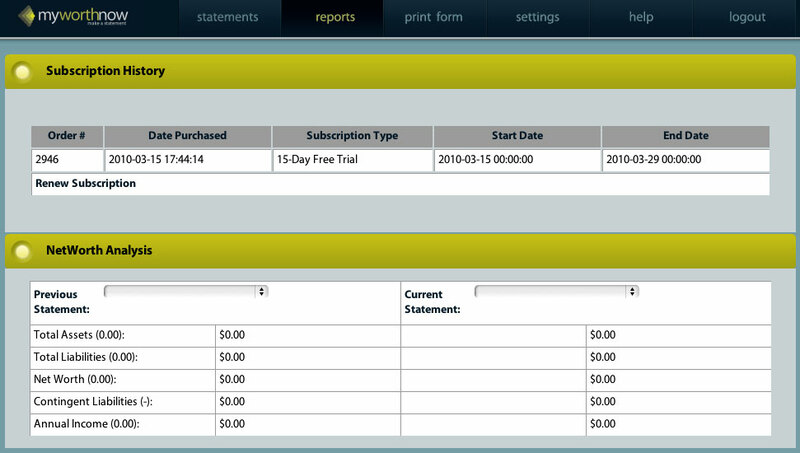 MyWorthNow provides a full-featured Web application solution for all your personal financial statement needs. Safely store and update your sensitive financial data with ease of mind on MyWorthNow. Our top-of-the-line Secure Socket Layer certificate provides the security you need with a subscription you cannot afford to be without. The MyWorthNow tool uses bank-level 256-bit encryption to secure your login credentials and your private information, so it cannot be compromised. We keep your personal information secure. Only you and your chosen delegate can access your account.